Black tea could come from the same plant whereas green tea. Although certain strains of that plant are preferred for each type, the chief difference lies in processing. The traditional method of processing black tea involves four basic steps: withering, rolling (for Congou types), fermenting (oxidizing), and drying (firing, de-enzymizing). Their leaves are dark, but the liquors are reddish when brewed, such as the "Keemun Red" tea. The fine teas are always hand-processed as the special way of shaping certain kinds, for instance, Golden Monkey Tea, Hong Lo (Red Snail Spring) and Golden Needles. This Chinese black tea with a little bit coarse leaf and sliver tips is grown in the South Chinese province of Yunnan. ‘Withering’ is the first step in the process of making black tea. The fresh leaves are spread on trays called ‘tats’ and as the leaves dry they lose moisture and begin to wilt for about fifteen hours. Then they go to the next step ‘rolling’. The rolling process twists the leaf and bruises it, thus encouraging fermentation. The oxidation process begins, the leaf turns darker in color and the recognizable tea odor develops. As soon as the leaf has fermented to the desired level, it is fired to stop fermentation and destroy bacteria. 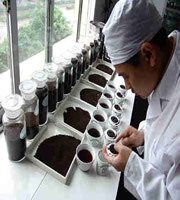 After firing, the tea is spread out to cool,then graded and sorted. 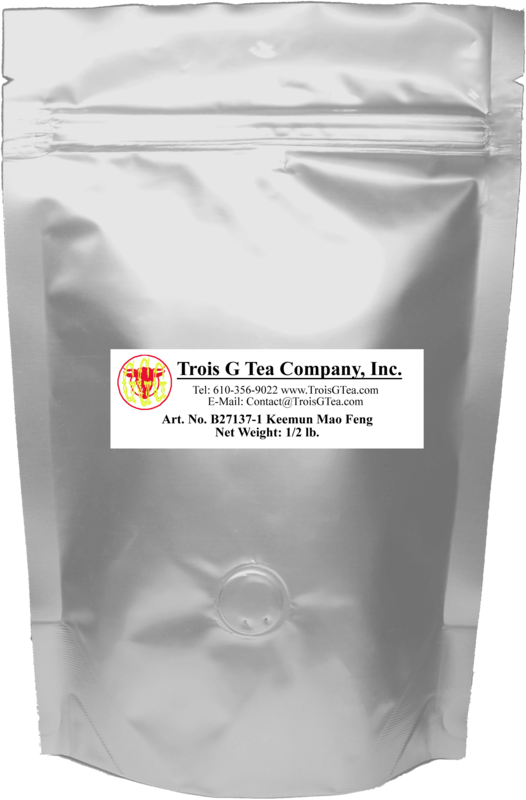 This tea produces a strong, thick liquoring with sweet and sappy taste. Well documented by Chinese and Japanese medical research groups, this tea has been helped lower cholesterol and triglycerides, aid digestion, and cleanse the blood in many years. The leaves come from the Yunnan province large-leaf variety of broad-leafed tea tree, which may be more closely related to the original ancient tea tree of pre-glaciation times than the smaller-leaved one. It is viewed as a mild tea, for persons with strong or weak constitution. The taste has been described as mellow, however those not accustomed to it might not enjoy the “old” – perhaps “elemental” or “earthy” are better words – taste, particularly in the first infusion. The liquor is in dark red color. Keemun, from Qimen county in southern Anhui province in China, is the most famous black tea the black tea of Chinese varieties. Due to its thick rich liquor with an orchid like fragrance, it has being widely chosen for blending into some flavored teas (e.g. English Breakfast Tea) and for making affordable ice teas. The complex aromatic, great depth and penetrating character are often commented as the ‘Champagne of Black Teas’. China Keemun Tea are small, well crafted leaves with some tip. It is a stand-up self-drinker and a particularly fine example of a winery black tea with brilliant red liquor. Among Keemun tea series from Anhui, China, this tea has captured a deep rich concentrated flavor and is produced during April harvest season of a year. It won many gold medals in the global tea competitions and has been honored as a Royal drink for many in England. This grade is an exceptionally high quality with rich tasting, earthy and warm. Actually, this tea with a twist is a pair to Be Lo Chun (Green Snail Spring) and comes from Fujian province in China. It is by definition a spring bud tea of considerable renown. Their leaves are sized very close to Yunnan Black Congou and carefully rolled into the shape of spiral. 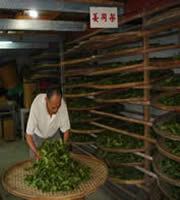 It is also the only Black tea that their leaves are tightly rolled in the US tea marketplace. 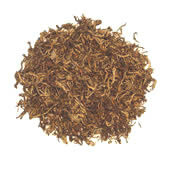 An excellent sweet aroma emanates from the dry leaves, which produce a bright, buoyant and fragrant taste. This tea could be a perfect drink during the cold winter as it helps to keep your body warm and to quench your thirst.